1 1/8" = 30 mm Wide genuine leather belt. Polished silver plated belt buckle. Sewn in buckle with two matching loops. 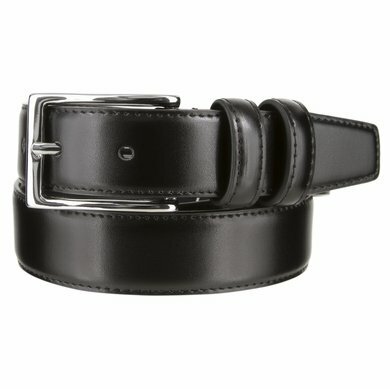 Belt comes in black, brown, gray, white, navy and Burgundy.